Take the prettiest castle and the grandest church in the country and that was my day for today. Yes, I went to Leeds and Canterbury. Leeds is your proverbial fairytale castle built over two islands on the river Len which runs through the rolling green hills in Kent. The castle started off as a home for a landowner in 1119, was used by the royal family from the 13th to 16th Centuries as part of the settlement the Queen of England received on being widowed and was a choice jaunt of Henry VIII, then given to a royal courtier in appreciation for his services and finally ended up as being the fancy drawing-room for socialite and hostess Lady Baillie. 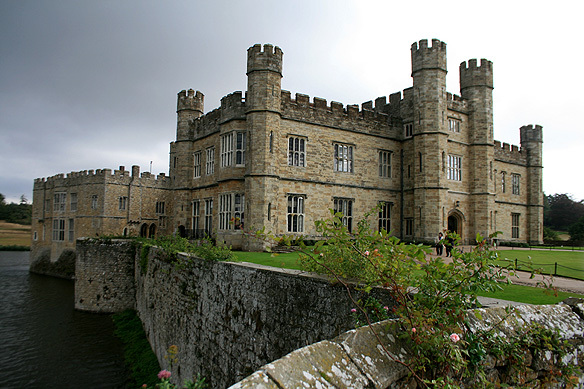 Today it belongs to the Leeds Castle Foundation. 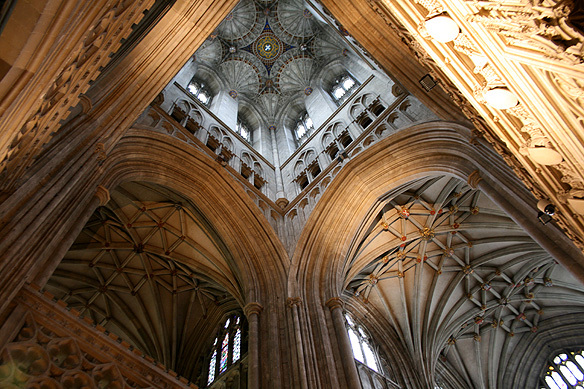 But in all sincerity it is Canterbury Cathedral that took my breath away. It is stunning. If there is only one church you can visit in England, this has to be the one. 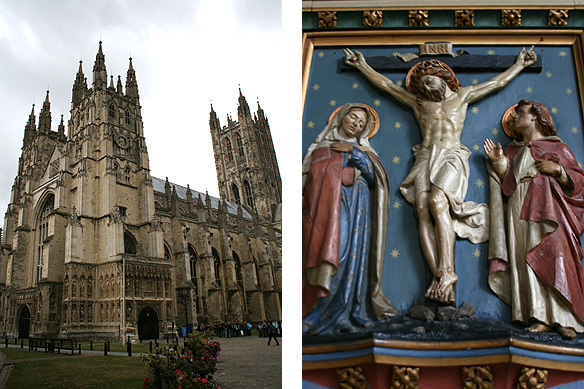 A World Heritage Site, it is the seat of the Archbishop of Canterbury and the mother church of the Anglican community. It has also been a place of pilgrimage for centuries. 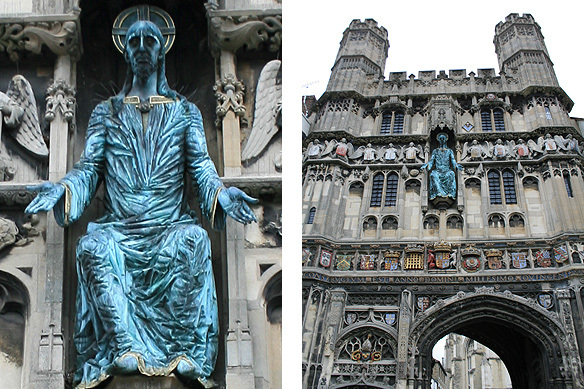 Remember Geoffrey Chaucer’s Canterbury Tales? 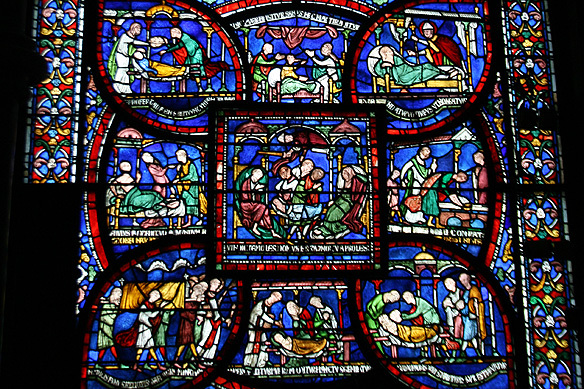 Linked to two saints, Saint Augustine (597 AD) and Saint Thomas Becket (1170 AD), the cathedral is a masterpiece in 12th and 13th Century architecture and stained glass windows. It’s all there. The Romanesque crypt, the English Perpendicular Gothic nave, the Quire that comes to life every evensong, the single candle burning in remembrance of St. Thomas in the Trinity Chapel, the Miracle Windows, and the most distinguishing feature of all—the 1450 Pulpitum Screen. I traced my path, over stone steps and uneven tiles worn out by the thousands of pilgrims who came on their knees. As the Dean took his place at the pulpit for a short prayer, everyone stopped in their tracks, praying to their own gods, in their own languages, overpowered by the grandness and simplicity of the towering edifice above our heads. There are some places that are just special. The cathedral is one such. I remember once, when I was in St. Peter’s in Rome, I had overheard two men having a passionate discussion. They were asking each other if art inspired God, or God inspired art. 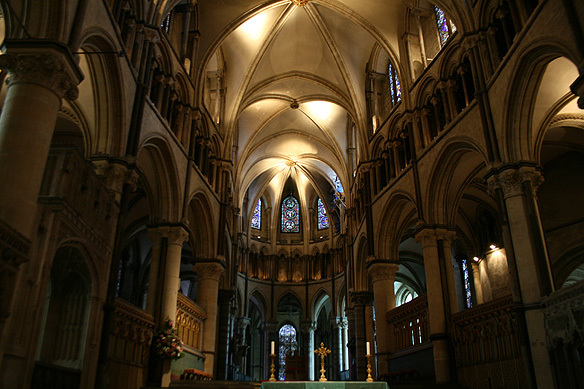 Canterbury Cathedral falls into that same debate. I would love to go back some day. Life, are you listening? This entry was posted in England with London, Exploring our World and tagged Canterbury, English Countryside, Geoffrey Chaucer Canterbury Tales, Henry VIII, Historical Cities, Lady Baillie, Leeds, Leeds Castle, Leeds Castle Foundation, Miracle Windows, Mother Church of Anglican Community, Pulpitum Screen, Things to see in England by Rama Arya. Bookmark the permalink.